Christ Our Savior Lutheran High School teamed up with the staff of the Pierre Menard home in Randolph County for two work days; August 10 and August 18 from 10:00 a.m. until 3:30 p.m. They had about 10 volunteers for the first work day and 14 for the second. Workers helped to sweep the grounds, wash windows and signs, clean windows, move rocks and pull weeds. COSLHS was honored to help support such an important part of our community. 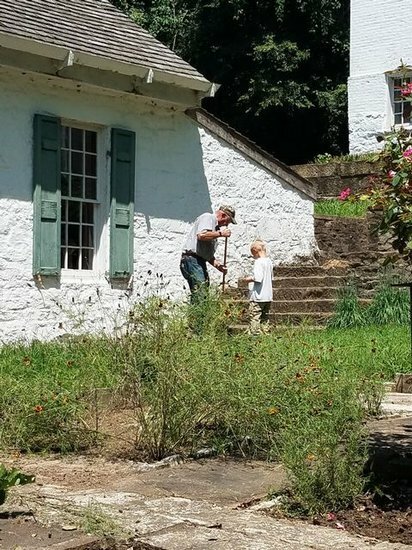 Volunteers really made a difference in the upkeep of the historic site. Thanks to Connie Liefer for helping to organize this community support event. Thank you especially to all of the volunteers that came out to make a difference in Randolph County.